Do you spend too much time on Facebook? Can you live without Facebook for a day? whilst you´re on holiday? or at a dinner table? Take our Facebook Test and see whether you´re a Facebook addict! Use our Facebook Quiz to find out whether you are addicted to Facebook! There are over 1 billion Facebook users and this number is growing! Are you constantly on Facebook? Do you feel lost if you can´t get onto Facebook and see what others are posting about? 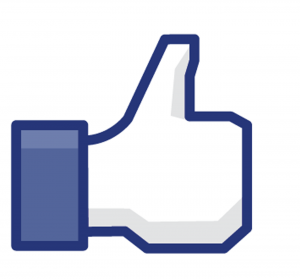 Take our Facebook Quiz and find whether you are addicted to Facebook! Find out whether you are a Facebook Addict with our Facebook Quiz! If you answered more than 7 questions correctly then I´m afraid you are addicted to Facebook! You should try to take up a new hobby, exercise your body not your eyes! Facebook is unhealthy, especially for a long period of time. Try to delete your app on your phone or deactivate your account if you have exams or projects due in. What is the first thing you do on your phone when you wake up? How many times do you go on Facebook every day? How many hours a day are you on Facebook? Which social media website do you use the most? Could you live without Facebook for one day? Does using Facebook make you happy? Would you rather stay in and go on Facebook than go out with your friends? Would you say yourself, that you spend too much time on Facebook? Would you be distressed or angry if your Facebook wasn´t working?